Learn What Gemini May And May Not Do This May!  Happy birthday, early-bird Geminis born in May! This month will, unfortunately, bring a few relationship issues your way. However, it is completely within your power to avoid the difficulties – just remember that being pushy and domineering is not the best idea at the moment. Instead of ordering your partner about, put your abundant energy to a better use: start exercising, pursue goals at work or formulate more ambitious ones. In the final week of May, you may consider changing your clothing style or adopting a new health routine.